Pioneers in the industry, we offer quartz powder 500 mesh, quartz powder quartz dust, quartz grains, quartz dust, 200 mesh quartz snow white powder and 325 mesh quartz powder from India. QUARTZ DUST/QUARTZ POWDER/QUARTZ 500 MESH TO BE USED AS A FILLER IN MANY INDUSTRIES LIKE PAINT, PAPER, RUBBER, PLASTICS, METALS, ALLOYS, ETC. Owing to our vast industry experience in this domain, we are engaged in offering Quartz Grains. These grains are used for various applications in foundry, construction, abrasive blasting, railway, water treatment, glass, paint, etc. The offered grains are processed with the help of latest technology and methodology. Also, our quality experts stringently check these grains on defined industry parameters to assure their high effectiveness. To meet diverse requirements of our prestigious clients, we are engaged in providing an excellent range of Quartz Dust. The common use of Quartz is in Glass, Ceramics, and Refractory. Other uses are to manufacture of Sodium Silicate, Silicon tetrachloride, Ferro Silicon, and also to use for water treatment processes. This powder is best suitable for filler, epoxy flooring, paint, putty manufacturing due to its fine particle size of 500 to 1000 meshes. Our company is actively committed to offering the most sought range of 325 Mesh Quartz Powder. The offered powder is used for fiber glass, glass floats, insulator, sanitary ware, refractory, paint, television picture tube, semi conductors, etc. 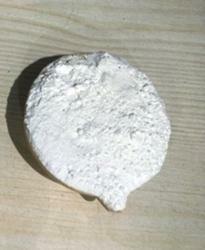 This powder is processed using excellent quality quartz lumps with the help of latest technology. We provide this powder in the form of the snow white, milky white, super semi and semi-white. This is natural silica powder having purity of more than 99%. 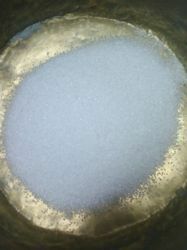 This silica powder comes in a very snow white color, the whiteness in our A grade silica is more than 96% .We have High capacity fully automated plants with advance tools & techniques, our minerals experts and engineers helps in crushing quartz to form different grade quartz powder such as crushed quartz powder, micronized quartz powder etc Used in a number of applications. We have installed several check points to avoid any mishandling in input process. Our plant has full ability to grind Quartz powder as per the industrial requirement and we are available with different variance in terms of grading of quartz powder. Our technical team always eager to adopt advance technology which is the reason of being ahead in terms of quality and quantity. We produce Silica powder in 100 mesh, 200 mesh, 300 mesh, 450 mesh Powder Used in various applications. 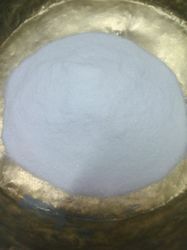 Mesh Size Powder: 80 mesh, 100 mesh, 150 mesh, 200 mesh, 250 mesh, 300 mesh, 325 mesh, 500 mesh. Lumps and Grains: 0.1 mm to 0.4 mm, 0.3 mm to 0.7 mm, 0.6 mm to 1.2 mm and other sizes. Backed by our rich industrial expertise in the medical sector, we are actively engaged in offering the supreme quality assortment of 325 Mesh Super Semi Quartz Powder. These products are being widely used abrasives, sandpapers, sandblasting and other applications. The snow white quartz available with us has the size of the crystals varying from specimens weighing a metric ton to minute particles that sparkle in rock surfaces. Our company holds expertise in providing unmatched range of Quartz Powder to our clients. Our products are available in bulk and we can also customized the range of these powder according to our clients needs. We use hygienic raw materials to manufacture our products. Our plant has full ability to grind Quartz powder as per the industrial requirement and we are available with different variance in terms of grading of quartz powder. Our technical team always eager to adopt advance technology which is the reason of being ahead in terms of quality and quantity. We produce Silica powder in 100 mesh, 200 mesh, 300 mesh.